I'll never forget Leo's birth. Lew and I stayed up late the night before eating ice cream and catching up on Game of Thrones. I started having contractions during the red wedding episode and could barely pay attention (If you've seen that episode, then you KNOW I was in serious pain). At 4am I couldn't take it anymore and we headed to the hospital. I remember yelling at Lew to stop driving over every single bump in the road and to turn off the air conditioning (it was at least 100 degrees outside. sorry babe) ;) After 12 hours of labor and two days before his estimated due date, Leo was born! He reminded us so much of London as a newborn but has definitely grown into his own little look + personality. 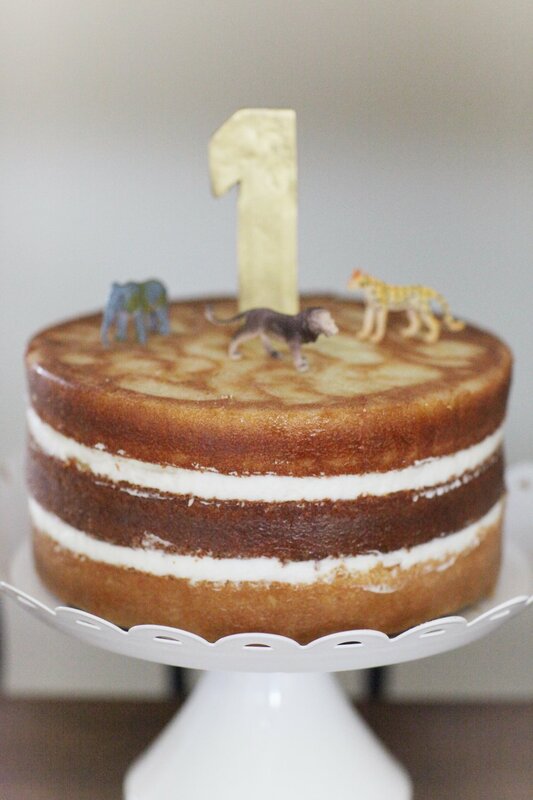 A "Wild Safari" themed party seemed appropriate for our little Lion. 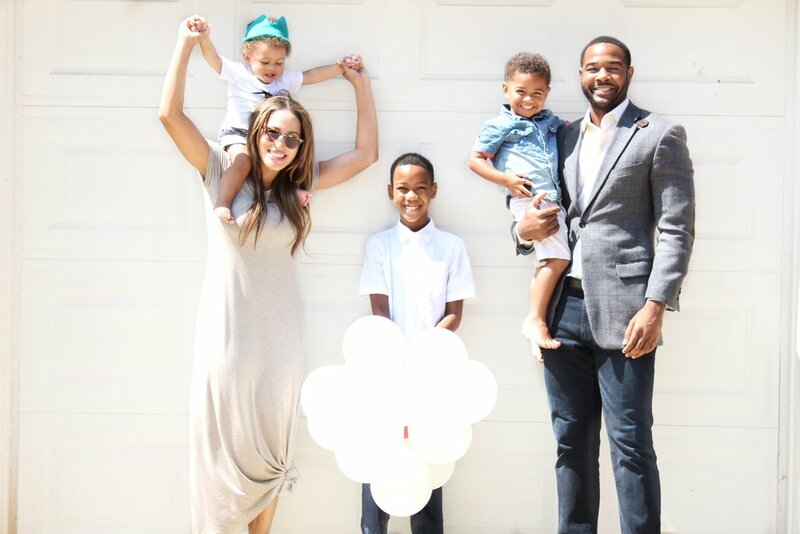 We hosted it at our house with just close family and I have to say I love the way it all turned out! Totally opposite from what I normally put together as far as parties are concerned. It was simple, quiet and a whole lot less stressful! Lew's grandfather also dedicated Leo at the party which gave the day even greater meaning. We certainly do love Leo more than words can express and feel so blessed to have him here. Can't wait to watch him discover + grow this year!